Our new company, SparkToro, LLC has just completed a $1.3mm angel financing. And, because we think our structure might be right for many other businesses, we’re making our documents open-source for anyone to use. SparkToro is, obviously, a product of my and my cofounder, Casey‘s, experiences in the mostly venture-backed worlds of software startups. The last company I founded and ran, Moz, raised $29.1 million. Casey spent time at Hubspot, Moz, Ookla, and Wistia, half of those raised large institutional capital and half didn’t. Despite some great experiences with people in the venture world — entrepreneurs and investors — venture capital isn’t a match for us this time. That’s because Casey and I wanted to build a different kind of company. We believe that there’s room for a company that can be successful for its customers, employees, founders, and investors (generally in that order) without demanding a multi-hundred-million or billion-dollar outcome. 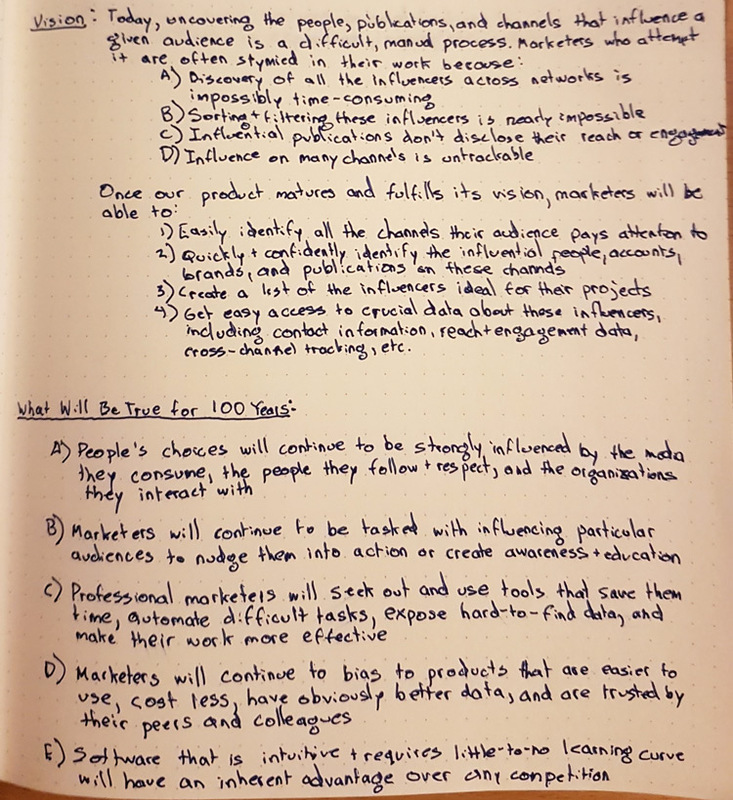 We spent a lot of time discussing the frustrating binary (succeed on a massive scale or die trying) of the classic tech startup model, and how we might craft a creative structure that would allow for the potential of a huge outcome without forcing an unhealthy growth rate or a destructively impatient approach. After a few meetings with our amazing attorney, Joe Wallin (who has been a champion of alternative funding options), we got excited about a structure that we think has legs. Apparently, so too do a number of smart, experienced investors, who’ve kindly backed us. Let me be super-clear about what we’re trying to build: an exciting, high-growth, high quality company that some venture investors might be excited to be part of… BUT, one that preserves the option to do things that wouldn’t fit with the outcomes venture investors need. One of SparkToro’s investors asked me if I was planning to build a “lifestyle business.” That’s become a loaded term that can mean anything from “a company that enables one to work a small number of hours but earns passive income,” to “a business that puts the well-being and happiness of the team and customers ahead of the exclusive focus to maximize investor returns.” SparkToro is at least somewhat in the latter category, though I hate the pejorative use of the phrase “lifestyle business” (I’ll have to write more on that in a future post). We intend to pursue this problem space, which we believe is a giant market with a ton of opportunity, aggressively. But we won’t do so with a “growth at all costs” mentality. We are not willing to trade lower risk, profitable growth for a higher growth rate that brings high risk consequences to our long-term prospects. That approach meant traditional venture investment was a poor match. And it meant most angel types of investment (which are predicated on a future institutional raise) were also off the table. So, we worked to create a new type of structure that lets investors participate more directly in the profits and profitable growth of a less “big-exit-only” focused company. SparkToro raised $1,299,500 from 35 individual, accredited investors (most of whom are listed below). That total was 104% of our $1,250,000 funding goal. The process took just shy of 90 days from first emails and phone calls to the final distributions of shares (for which we used Carta; it’s pricey, but very convenient). I had informal conversations with a total of ~47 folks, and of those who didn’t invest, 3 told me they turned us down due to the structure or perceived opportunity of the business. 7 of the remaining 9 “no’s” came from folks who told me they didn’t have the resources to invest or invest comfortably (I made a few embarrassing assumptions about wealth levels in my network that have given me newfound empathy for folks who email/ask me to invest in their startups). The final 2 “nos” were from folks who wanted to invest, but were prohibited by their employers (both due to indirect, but potentially long-term conflicts of interest). A 75% “close” rate is, from my conversations with other founders, unusual, even in an angel-only round. But unfortunately, I don’t have any wonderful advice on how to structure your pitch or sharpen your approach. Our advantages were almost all network-driven. Because I’ve been in the tech/startup/marketing field for 17 years, and have many kind folks who, over those years, offered to support my future efforts, a lot of the fundraising conversations were inbound. Folks saw my post about leaving Moz, and reached out, wanting to know if they could participate in whatever I was doing next. Or B) got introduced by investors who’d already come aboard. I was consistently shocked at how a single introduction and one or two back-and-forth emails (in which I’d share our one-page term sheet and prospectus) could rapidly lead to a “yes! I’d love to participate,” response. Casey and I count ourselves lucky. We know that our backgrounds, our previous work in the field, the fact that we’re both white dudes in the right region, the right age group, coming from the right sorts of companies — all of it — contributed to the success of this process. We hold ourselves to the very high bar of now needing to prove that a unique structure like ours was a smart bet for our investors and the equally high bar of paying any success we have forward to help founders from more diverse backgrounds and more diverse geographies have opportunity, too. I’m desperately hoping to prove that there is another way to raise money and distribute earnings that can be a better bet than the 9 losers for every 1 winner math of venture. We’re an LLC, rather than a C-Corp, and we can pay dividends to our investors, founders, and employees if/when we generate profits. We have the option, in any year where the company is profitable, to distribute profits pro rata to investors or to re-invest in future growth. Before the founders (Casey and I) get any of the profit distributions, and before our salaries can go above a fixed number (tied to Seattle software employee averages), we must first return all of our investors’ capital (the $1.3mm we’ve raised) via profit distributions. In the event of an acquisition/sale, investors earn the greater of their initial investment back (less the amount already returned through profit distribution) or the percent of the company’s units their shares represent. We can raise future investment rounds (though we don’t plan to) and in those future rounds, our investors have the right to participate pro rata. There’s lots of other unique elements, including risk-mitigation stuff for both founders and investors, corporate governance items, and legal protections in the fine print of the docs, which you can check out below. In addition to these documents, we also used an unusual format for our investor prospectus — a much more informal, and readable one than most startups 🙂 This document was sent to each of our investors before the close, and in many cases was at least one determining factor in their decision to back the company. The version made public has several redacted components on our unique processes and technology. Eventually, we hope to release these, too, but not until we’ve actually built them out, proven that they work, and, if appropriate, filed (defensive-only) patents. It takes chutzpah to do something new, to take a chance on an unfamiliar, unproven model. But that’s exactly what these wonderful did for us. The following list is not complete — we had a few investors who asked to remain private — but this represents more than 80% of the people who joined our first (and hopefully only) round. Of course, now we get to start on the hard work of building something special, and hopefully proving that this model can work. Why Raise At All? Why Not Bootstrap? That wouldn’t have been an option for Casey, whose finances and family situation are different than mine. Neither of us wanted to wait any longer to start going full time on this product. Investment, under terms we liked, with people we’re excited to have help from (and whom we’re honored to return money to) was readily available. I suspect I would have worked hard to overcome a tougher situation with #3. But, when combined with the first two, it made for a no-brainer. What Are We Planning to Do With the Money? The only thing we’re really splurging on is high quality health insurance (thanks to the WTIA’s health insurance program). We want to reserve as much of this round as possible to enable ramp-up costs if and when our product launches and, hopefully, earns traction in the market. We’re also cognizant that many things could delay our launch, or that we might need a long time to polish and adjust our product to be truly valuable. This funding round will give us the freedom to make sure that the public V1 is impressive, even if it means doing a lot of private beta testing of an MVP. Thank you to everyone who’s helped make SparkToro a reality — those of you who’ve offered emotional support, kind words, amplification of our side project, Trending‘s, launch last week, and of course, our new investors. We can’t wait to build more tools to help people do better marketing. If you have questions about the round, the docs, or what we’re up to, don’t hesitate to ask in the comments or drop us a line on Twitter (@randfish and @caseyhen).